Posted on February 8, 2019 April 12, 2019 in Press Release. 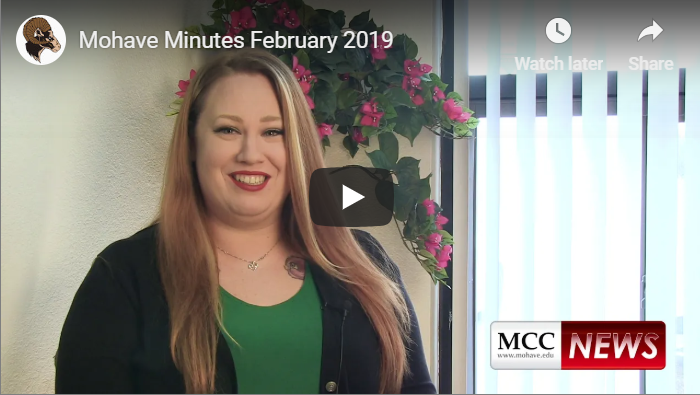 MCC News shares the college news, events, faculty, staff and student stories from Mohave Community College each month. Known as the “Mohave Minutes” it is intended to be a quick source of information to keep you updated on what’s happening at the college’s four campuses. If you have an MCC story idea please email it to MCC@Mohave.edu.